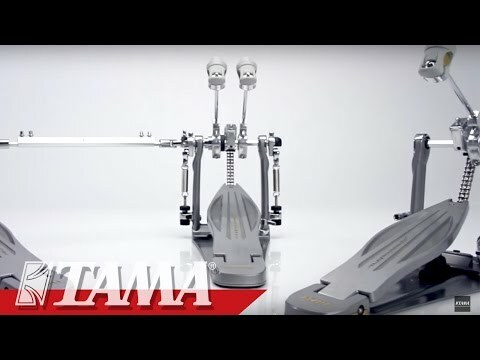 Designed to fuel speedy footwork, TAMA’s precision-engineered Speed Cobra pedal now enters a new era. The credo under which it was first forged: ""Extreme Velocity. Serious Power," has been honed to add yet another playing characteristic to its already daunting personality—Unprecedented Velocity, delivered with minimum work. As pedal play reaches top speeds, even a small amount of instability limits performance. This generation of Speed Cobra’s new wider frame, wider under-plate, and redesigned Para-Clamp II Pro hoop clamp combine to provide absolute stability and maximum playability. Even under less than ideal playing circumstances, these improvements bring noticeable support to your musical endeavors. The incredibly fast, smooth action inherent in the Speed Cobra would all be for naught if we didn’t give equal care to the development of a beater head that delivers outstanding clarity, attack and tone. After testing numerous designs and varying materials, we arrived at something exceptional. The new Accu-Strike Cobra beater head is made using Butadiene rubber—known for its use in fabricating highly durable automobile tires. Narrower, yet thicker and more projectile-shaped than before, the Accu-Strike Cobra beater head far surpasses even our own expectations in achieving superior articulation, attack, tone and durability. Oiles Bearings are created from a mesh of bell brass material with a Teflon coating. They eliminate unwanted side-to-side motion while providing superior smoothness. Weighing in at 40% less than our previous Iron Cobra cam, the round, Rolling Glide ""LiteSprocket"" revolves naturally and smoothly, contributing to a lighter more responsive feel. n an effort to eliminate or minimize any source of friction, the Speedo-Ring with its high-precision ball bearing assembly eclipses all previous rocker cam technology.